Music of the Celts has always had a huge following, and this disc of 18 songs will find a large audience. Timeless melodies from Ireland, Scotland and Wales are performed by some of the leading musicians in Australia currently. Singers David Hobson, Teddy Tahu Rhodes, Sarah Calderwood, Annalisa Kerrigan, Paul McMahon, Timothy Reynolds, Nollaig Casey, and Craig Newman, are accompanied by orchestras (Tasmanian Symphony, Australian Brandenburg, Melbourne Symphony and Sinfonia Australis), chamber or folk groups (Sunas, Carisma), as well as choirs (Cantillation, Brandenburg Choir, Choir of Trinity College – University of Melbourne). There is a plethora of instrumentalists recorded here from Genevieve Lacey (recorder), James Crabb (classical accordion), Genevieve Lang & Mary Dourmany (harps), Paul Jarman, Lynnelle Moran (tin whistles), to Chris Duncan (fiddle), who all help in giving the arrangements an authenticity. Those interested in Celtic music, or folk music in general, will love the selections: The Mountains of Mourne, Wild Mountain Thyme, As He Moved Through the Fair, Suo Gan, Do You Love an Apple?, Loch Lomond, My Lagan Love, The Cliffs of Dooneen, Bovaglie’s Plaid, The Last Rose of Summer, Danny Boy, All Through the Night and Fhir an Bhata. The vocal and instrumental artistry shines through in every track. There is a genuine affinity that comes across with each performance. 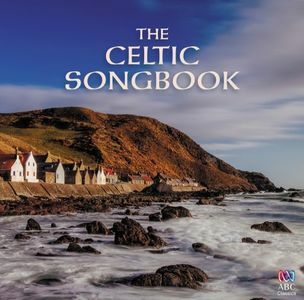 This is one of the best collections of Celtic music on offer. It does fall into that category of relaxation and evocative music, with its abundance of melancholic and sometimes haunting ballads, slow instrumental passages, and lack of energetic gigs. But, it is reflective music, which is so perfect for the soul. Australians seem to be forever on a quest to discover themselves. Australian identity is uppermost in our collective psyche. 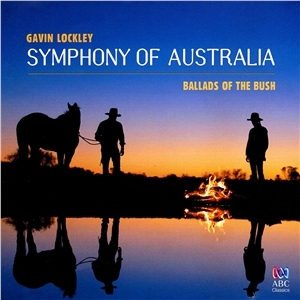 Gavin Lockley is a new voice in Australian composition, and in this two CD set, we have a symphonic work of large proportions which captures the history of Australia from the Dreamtime, through the arrival of the First Fleet, the explorers Burke and Wills, the wartime period, the emergence of multiculturalism and finally a tribute to Dorothea Mackellar’s famous poem, My Country. It is stirring music, epic in its design and performed with heartfelt vigour and passion. Fitting the genre of programme music (which could adapt to being a ballet score), the orchestration is sensational and the fusion of elements of historical significance is quite breathtaking. Performing on Symphony of Australia is the Sydney Symphony Orchestra (conducted by Brett Weymark), Matthew Doyle (didgeridoo), Cantillation, Jon English, Sharolyn Kimmorley (piano), Riley Lee (shakuhachi), Saragan Sriranganathan (sitar) and Renee Martin (mezzo-soprano), amongst others. The second CD contains Ballads of the Bush, a rollicking entertainment drawn from iconic Australian poets including CJ Dennis, Dorothea Mackellar and Banjo Paterson. 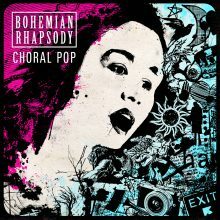 The composer shows his rich baritone voice as soloist on this disc. Gavin Lockley composed Ballads of the Bush whilst studying for his PhD at Magdalen College, Oxford. 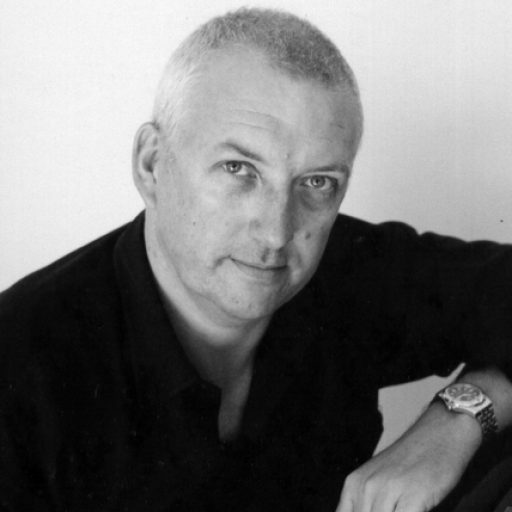 Selecting poems he’d loved since childhood, he has created a work which reflects his urgent belief that the great Australian poets and balladeers need to be performed and brought to as wide an audience as possible. Lockley is a welcome voice in the Australia musical landscape, and via this recording should excite every Australian with its sensitivity, patriotism and soul.